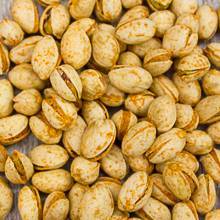 We select only the best California pistachios with zesty garlic flavoring for you to enjoy all year long. A truly delicious nut to savor! Price quoted is per pound, not including shipping.